Earlier this week, Spice came up with a new smartphone called Mi-430 in the sub Rs 5,000 price bracket and today, yet another smartphone with a similar pricing has surfaced. Well, the latest one is the Stellar 439 that has been listed on the official website and on the online retailer Saholic for Rs 4,099. When it comes to specifications, the Spice Stellar 439 is given a 3.9 inch display that carries a WVGA screen resolution of 480×800 pixels making it standard as the others in the segment. 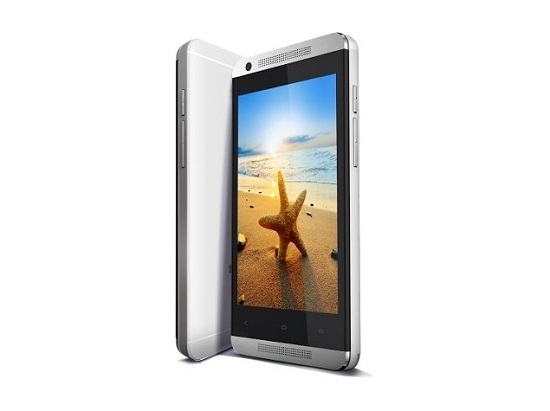 Powering the smartphone is a 1 GHz dual core processor that is assisted by 512 MB of RAM and 4 GB internal storage. There is support for expandable storage up to 32 GB with the help of a micro SD card. The phone is fueled by Android 4.4 KitKat as any other entry-level smartphone that is launched in the market. The Stellar 530 features a 3.2 MP rear camera with LED flash and a 1.3 MP front selfie shooter as well onboard to make video calls. Connectivity wise, there is support for 3G, Wi-Fi, Bluetooth and micro USB. A 1,400 mAh battery powers the smartphone providing a moderate backup to it that would be on par with the others in this range. Also, there are front facing stereo speakers onboard and the handset resembles the HTC One M8 in terms of design. Though the specifications of the Spice Stellar 439 are similar to what the other devices in its price bracket pack including Karbonn Smart A12 Star and Xolo A500s Lite, there is nothing exceptional to make it stand up against the competition.